This PDF 1.4 document has been generated by pdftk 1.44 - www.pdftk.com / itext-paulo-155 (itextpdf.sf.net-lowagie.com), and has been sent on pdf-archive.com on 15/04/2019 at 13:35, from IP address 212.36.x.x. The current document download page has been viewed 27 times. File size: 763 KB (36 pages). to diminish responsibility for its ocurrence. How can OCD be understood? is going to need a lot of help from you. Am I just saying “Pull yourself together”? as more dangerous than they really are.  Do they set homework / go out during a session if necessary? What qualifications / experience do you have? Getting the most from CBT. – Listen to the tapes and make notes!  Short term: what can I do today? And tomorrow? (b) help me to confront my fears? my life, and what needs to change to stop that?  Offer longer versions, especially if its important to you! 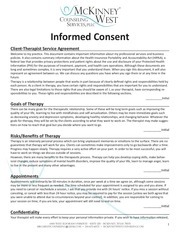 not to keep important secrets (once comfortable with your therapist). honest about this. It’s not criticism, just a fact.  This is my last chance to get better. I think I can overcome it.  A setback = failure = back to square one.  My problem is unique.  Having these thoughts makes me a bad person. thoughts or my therapist will be shocked. journey that starts with a single step has to be 1000 miles! Worst that will X Be for you? like the solution ends up being the problem! What was the first sign of trouble? Did you look for trouble? What did you find?  NOT to control thoughts. This file has been shared by a user of PDF Archive. Document ID: 01928751.